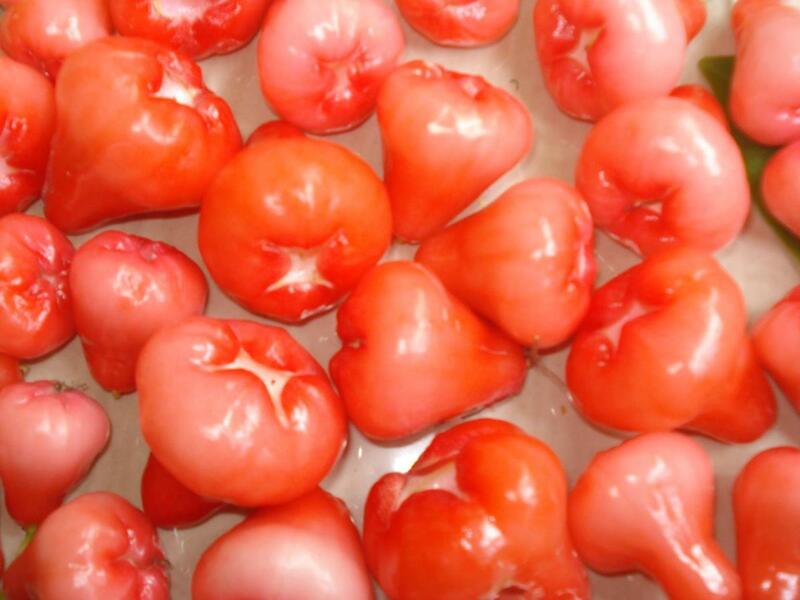 Among the many names of Jambu are bell fruit, wax apple, love apple, java apple, Jamaican apple, water apple and rose apple though it is neither related to apples or roses. 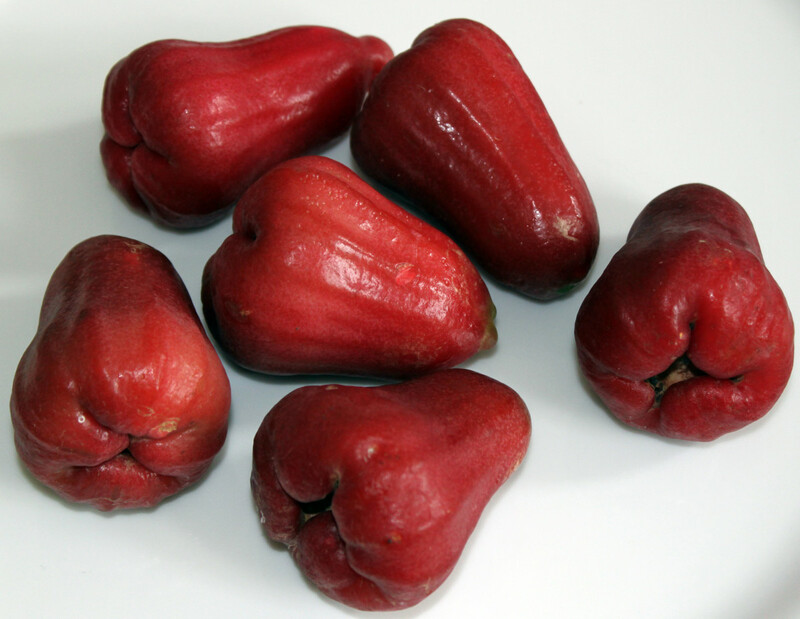 Jambu is a crisp and crunchy, wafery textured, mildly sweet exotic tropical fruit. Also called wax Jambu the tree belongs to the family Myrtaceae. 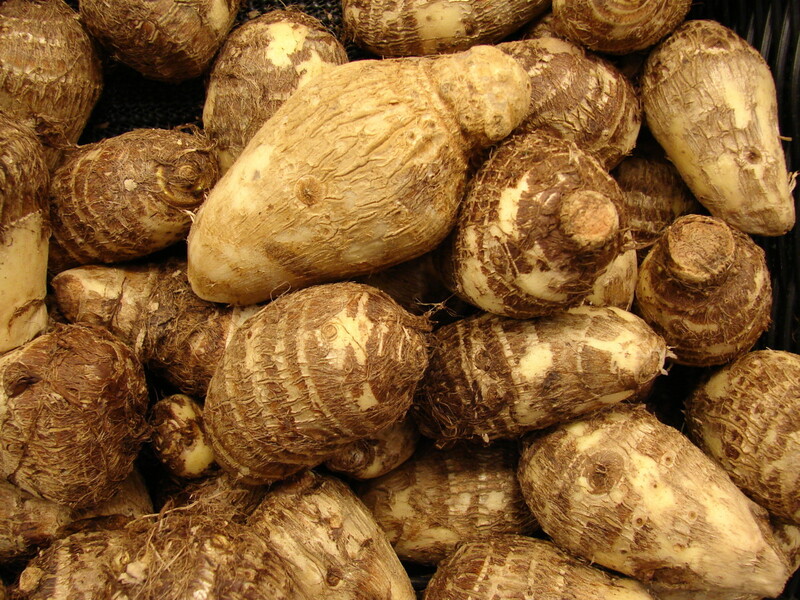 It is native to India, Malaysia, Philippines, Indonesia and the Caribbean. 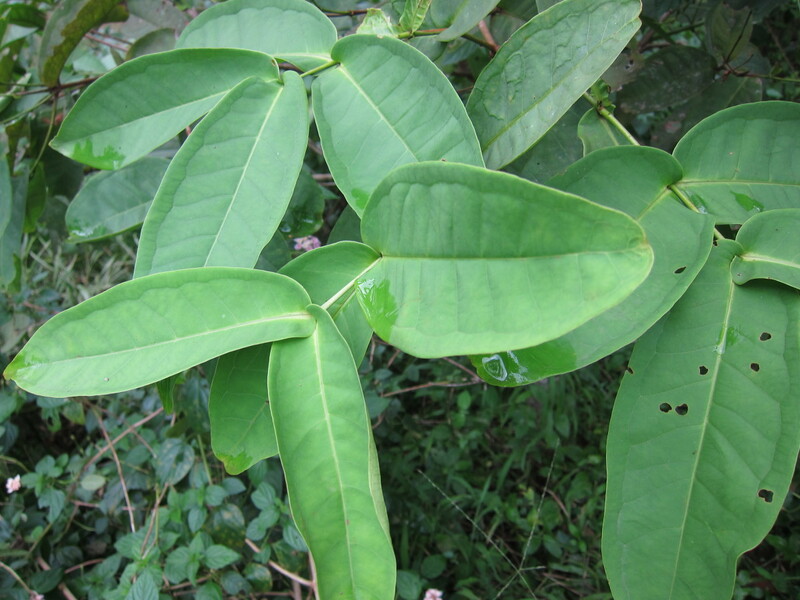 It is a a fast growing tree that grows in most tropical and sub tropical areas of the world today. The tree is very sensitive to frost and grows to a height of 5 to 15 meters. 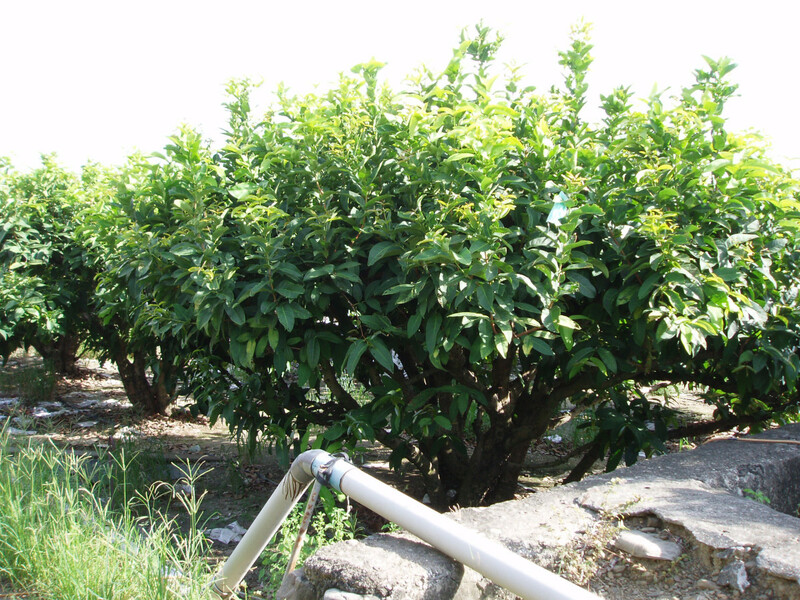 The water apple tree has thick, wide and dark green leaves and is a heavy producer of the jambu fruit yielding up to 700 fruits per season. It starts fruiting around 5 years of age. Sygygium samarangense grows best in full sun and needs a moist fertile soil for best quality fruits. The Jambu fruit is produced in a variety of colors ranging from white to off white, cream colored to greenish white, and pink to red. 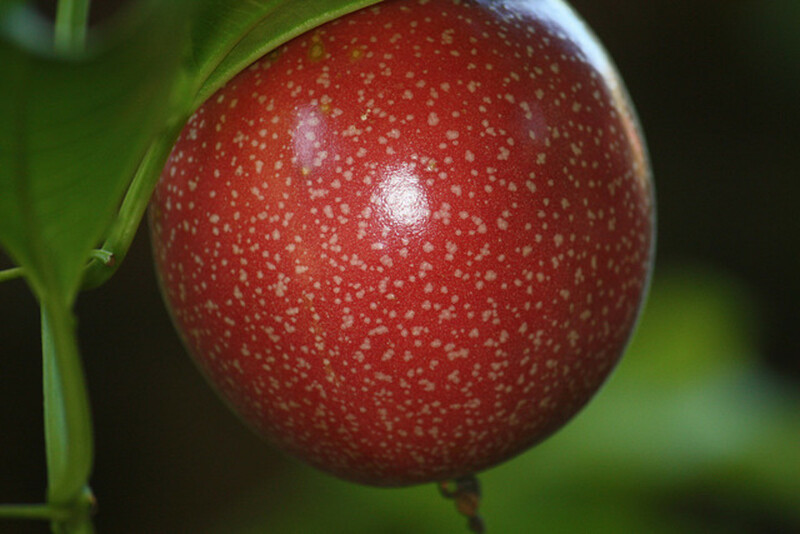 Externally the fruit has a glossy, smooth and waxy skin and is pear or bell shaped. the skin is thin and the flesh white and spongy with a faintly aromatic taste. 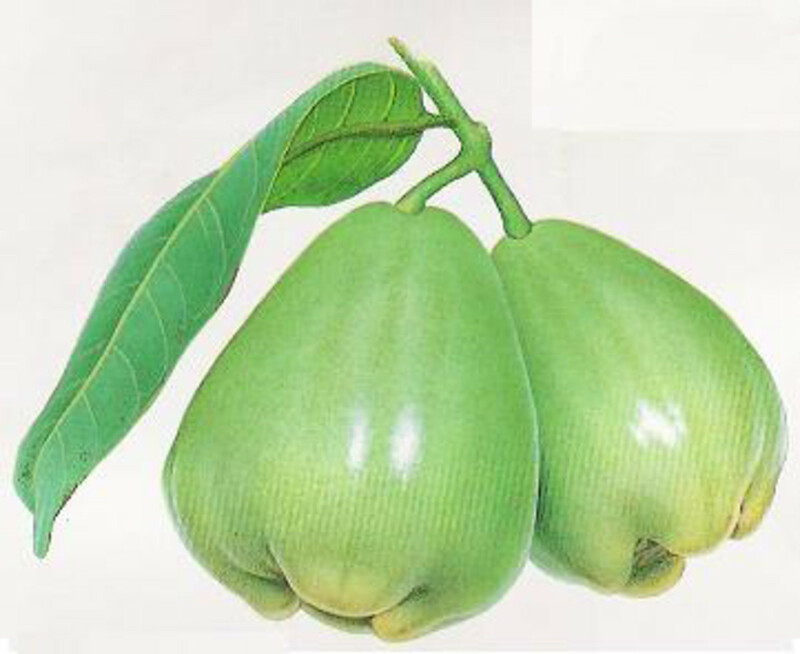 The water apple is eaten raw and also used in a variety of dishes, desserts, salads and made into a pickle as well. Juice and jelly are also prepared from the fruit. 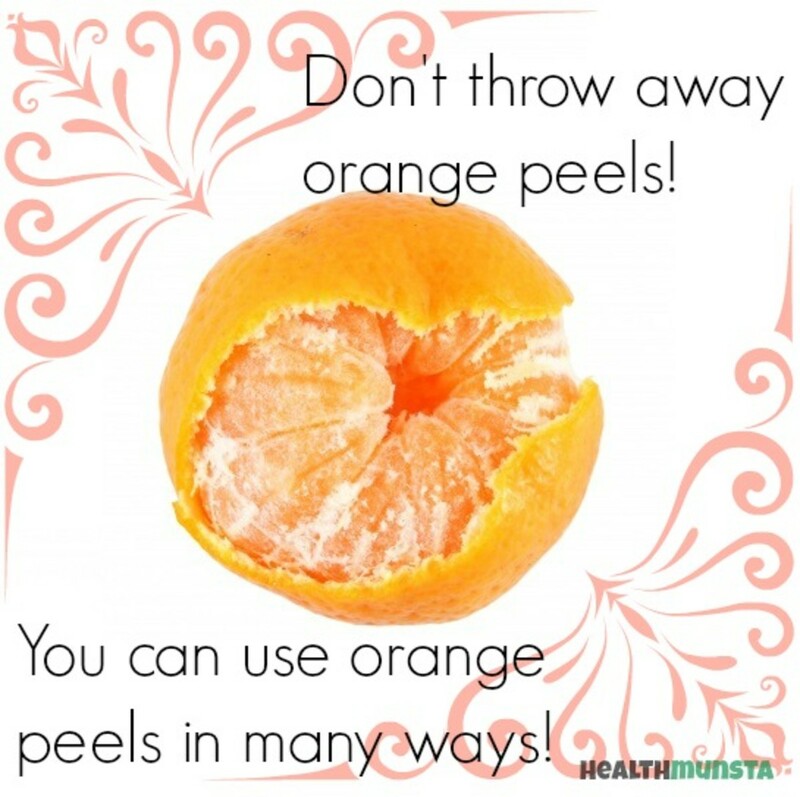 The fruit pulp is a rich source of phenols, flavonoids and several antioxidant compounds. It contains about 93% water and supplies per 100 grams, the following nutrients. and 1% each of magnesium, phosphorus, copper, manganese and thiamine. 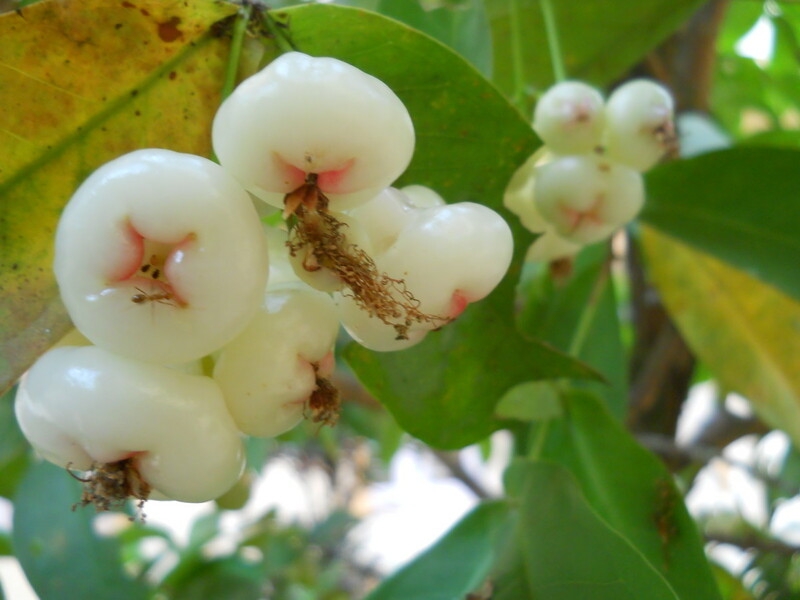 The jambu fruit have been used in traditional medicine for many disease conditions. It has antimicrobial, antiscorbutic, carminative, diuretic or astringent properties. 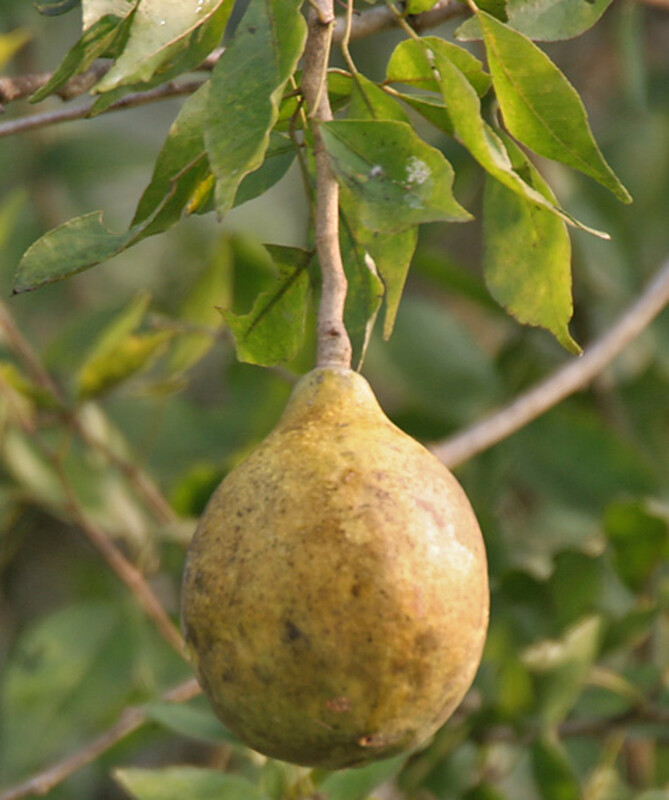 The fruits, leaves and seeds reduce fever while the roots are diuretic. In summer its consumption is especially beneficial as it not only quenches thirst but also hydrates the body. 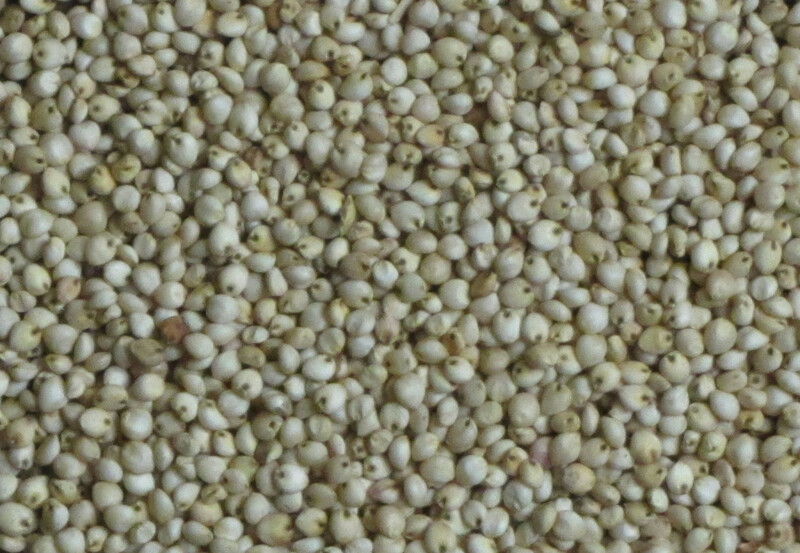 It prevents sunstroke and removes the ill effects of dehydration. When eaten with a little salt it helps to comfort the stomach and the intestines. 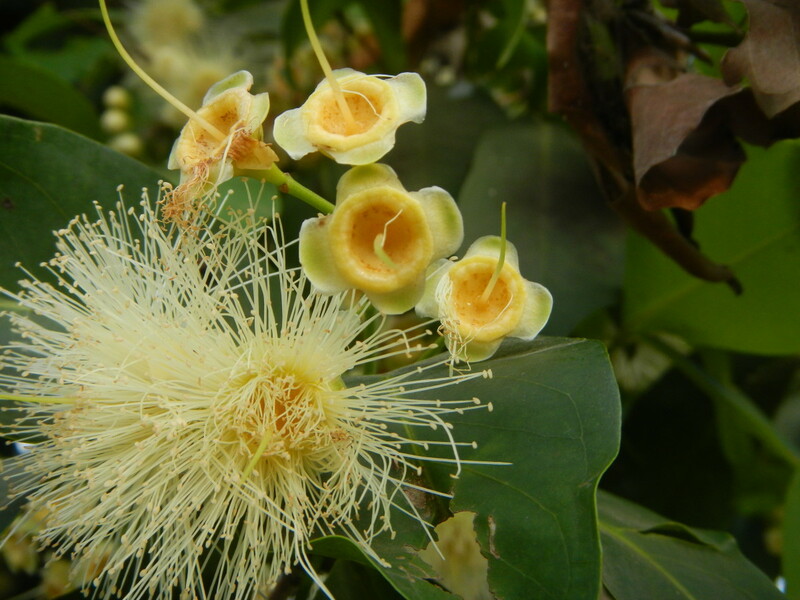 Chinese medicine uses the flowers to treat diarrhea and fever due to its astringent properties. 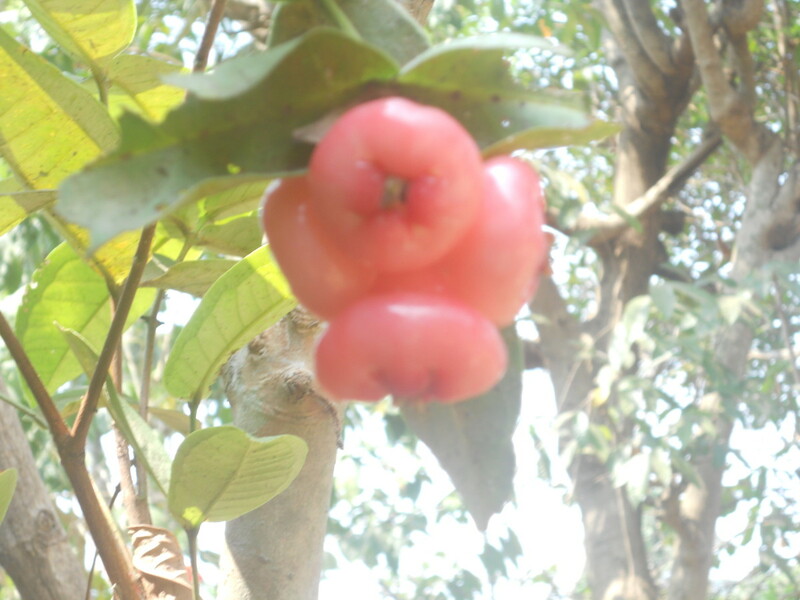 Jambu is also used to treat high blood pressure and many inflammatory conditions like sore throat for example. A compound in wax apple, vescalagin has anti hyperglycemic and anti hyper triglyceridemic activity that help in lowering blood sugar and triglyceride levels as well. Jambu has shown antibiotic and antifungal activity against Staphylococcus aureus, candida and mycobacterium smegmatis. Leaf extracts have shown immunomodulatory effects. The fruit has also been used as an anticonvulsant and sedative and as an antimicrobial against the herpes virus and as inhibitor of histamine release. The fiber rich rose apples prevent constipationand keep the digestive system healthy. Chinese five spice powder is a traditional seasoning that is used in Chinese cooking, in fact, in most Asian and Arabic cooking. Learn about its health benefits and find a basic recipe to prepare it.. Yes Peggy, It is an unusual fruit both in looks & taste. Appreciate your stopping by. Thanks for introducing me to another food of which I was unfamiliar. I have never seen a water apple for sale in any of our local markets. It certainly is pretty. It would be fun to be able to taste one someday. I agree with you Flourish. It's always an experience to taste new food. Thanks for stopping by. I sure wish my grocery store would carry some of the unusual fruits like this so I could give it a try. I'd love taste experimenting. It broadens horizons. @Bill, of course the red fruit almost resembles the pepper. Thanks for the visit. @manatita, nice & sweet name cushoo. I just love its mild flavor and the crunchiness. Appreciate your visit my friend. 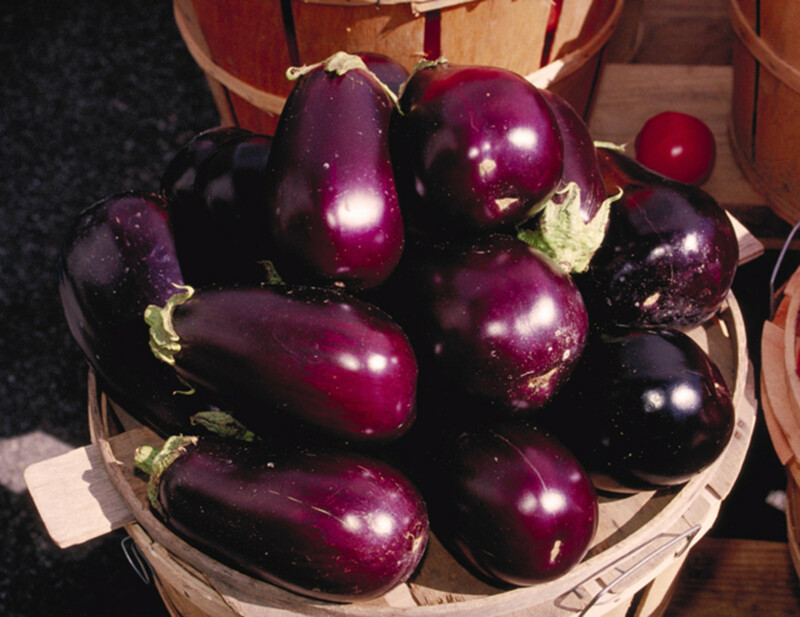 @MsDora, the red ones look very attractive though the flesh is white on the inside. I'm glad my hubs provide you with some unknown info . Many thanks. @Blond, I'm sure with your renewed TLC your tree responds with abundant fruit. Good luck and thanks for stopping by. @Audrey, I just hope you get to taste this delicious and juicy fruit. Thank you my friend. @Shaloo, unfortunately I have not seen this fruit out here in the North though it's ample in Maharastra. Thanks for reading. I have never heard of this fruit before..Thanks for sharing this info! The 'water apple' is new to me. I wonder if this fruit is available in my local supermarket. I'm eager to try it and thanks for introducing this healthy food to me. Hi Rajan jolly you shared a worthy hub. The interesting facts about a unique fruit. We have one of these trees here in our garden in Brazil. Although it has been here for at least 8 years, it still isn't producing. I think it needs some TLC. However my friend has one and it is huge and produces fruit like crazy. They also have such beautiful flowers, that the hummingbirds love. I have often gone to her home and returned with a big bag full of them. I normally eat them raw or make them into a jam. After reading this, I am inspired to sort my tree out. I know these apples but have only seen them in red. What a phenomenon! I always learn something new when I read you. Thanks for the birthday wishes! I'm happiest when I see fruits I recognise; they bring back my childhood memories. We called this 'cushoo.' in Grenada, and I ate a lot of it. Nice Hub on its benefits, Bro. Well done! Never heard of it. It looks like a pepper. I know for sure I've never seen one of these here in the States, so once again, thank you for the education.